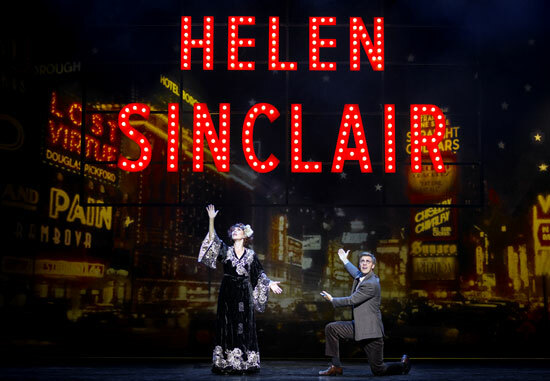 Between September 12, 2016, and April 8, 2017, Bullets Over Broadway was performed at Göta Lejon in Stockholm, with Helen in the role of the superannuated actress Helen Sinclair. 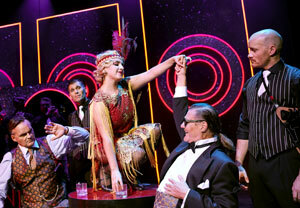 The musical was based on Woody Allen’s and Douglas McGrath’s movie with the same title from 1994. Direction by Emma Bucht, choreography Denise Holland Bethke and tap choreography David Dalmo. 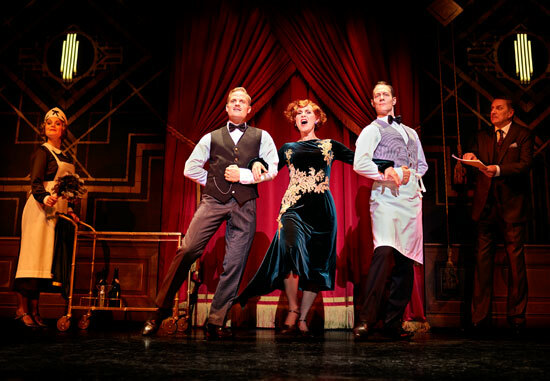 The show is set in the late 1920s, where the young scriptwriter David Shane (Linus Wahlgren) has just arrived to Broadway with his girlfriend Ellen (Lisa Stadell). David gets the opportunity to stage his latest play thanks to the funding of the powerful gangster Nick Valenti (Johan Rabaeus) who sees this as an opportunity to make his girlfriend Olive Neal (Shima Niavarani) a Broadway star. However, she is both demanding and lackling in talent and causes all kinds of problems for i.e. producer Julian Marx (Per Svensson). Valenti hires a bodyguard to protect “his interest”; Cheech (Johan Rheborg), who turns out to be a genius who comes up with brilliant ideas regarding the script. Just in time for the premiere David Shayne finds himself tangled in various complications, including lies that Cheech’s brilliant ideas are his own, as well as a love affair with the show’s seductive and somewhat over refreshed leading star Helen Sinclair. In the spring of 2017 Linus Wahlgren was replaced by Rennie Mirro in the role as scriptwriter David Shane.